Though all roads may lead to Rome, innovators know that only a few tracks lead to innovation success! Gijs van Wulfen lights up our way with 4 practical routes, depending on your starting point: idea, technology, customer issue, or business challenge. These 4 cardinal points are explained in his new book, ‘The innovation Maze‘. They make our navigation more straightforward, and fruitful: we can now turn every creative experience into an innovation capital. 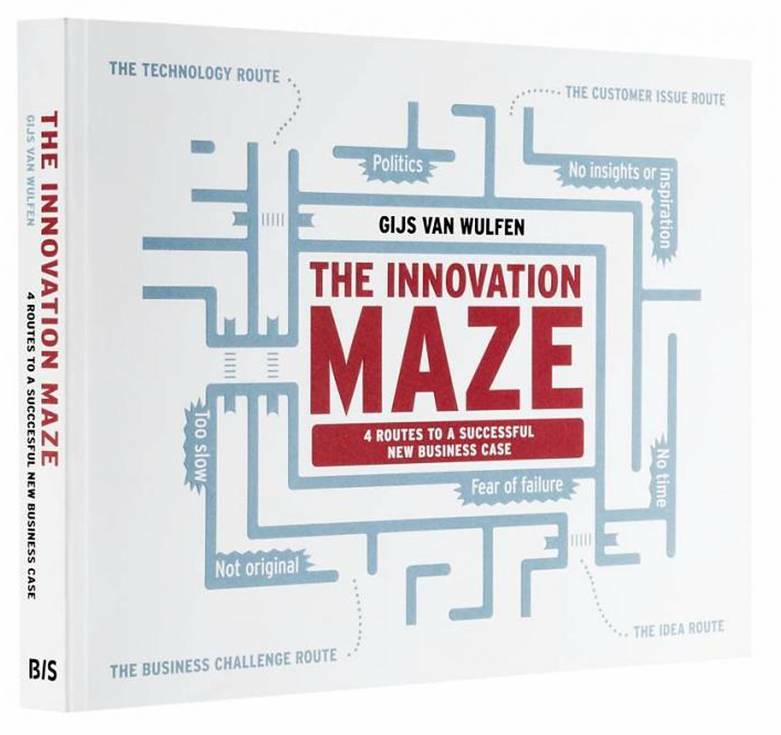 Let’s read below a presentation of the Innovation Maze model that Gijs wrote. Now we nailed all the problems at the fuzzy front end, let’s work on the solution to unfuzzy it. The way innovation starts is diverse. There are four common patterns how you start innovation. 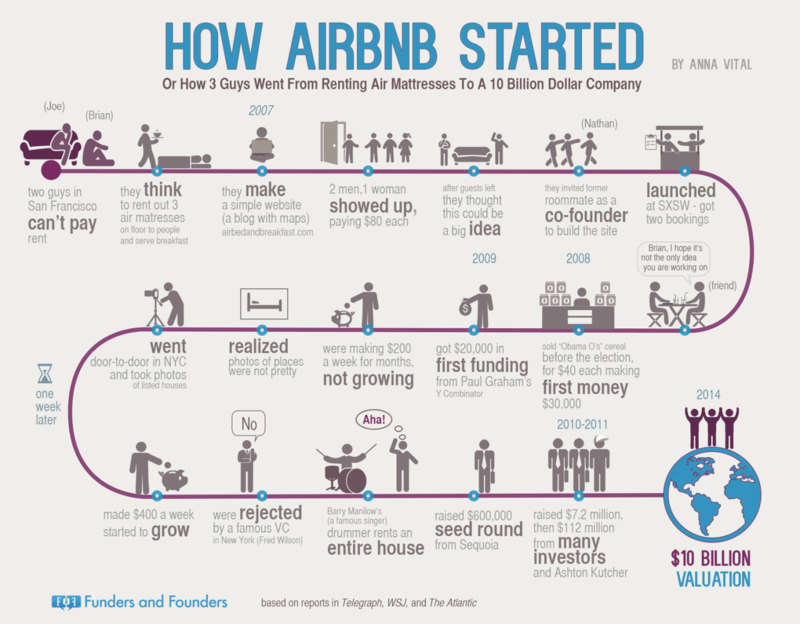 You start innovation with a idea, like Brian Chesky and Joe Gebbia of AIRBNB. When a major design conference came to town in 2007, they saw an opportunity to earn some extra cash by renting out their spare floor space. In no time they had put together a website advertising lodging for overnight guests which they called “Airbed and Breakfast”. You start innovation triggered by technology, like Google X research lab, which explores new technologies beyond Google’s core business, with for example their Google Glass experiment. You start innovation to solve a problem, like two students in Sweden, Anna Haupt and Terese Alstin. The prospect of being forced by law to wear a bicycle helmet caused them great concern, as they wouldn’t “be caught dead wearing a polystyrene helmet.” They started developing a bicycle helmet that people would be happy to wear. You start innovation because your business needs to innovate, like toy-producer LEGO when in 1998 they generated their first loss in the company’s history. In response to this crisis, the company announced the lay-offs of 1,000 employees and put innovation on their agenda. The customer: will they buy it? The technology: can we deliver it? The business model: will it pay off? The risk: What if it’s a failure? What if it’s huge success? The board will demand tangible proof before making a decision. That makes the front end of innovation so challenging and intensive. In practice it will take at least ten activities to take you to this desired outcome in a structured way. Ideate: Generating and choosing original relevant ideas for a product, service, process or experience. Focus: Defining your innovation center-of-interest including all the boundary conditions. Check Fit: Checking if your idea, technology, customer issue or business challenge fits your personal and corporate priorities. Create Conditions: Organizing the right moment, the right team, the right pace and the right funding for your innovation initiative. Discover: Discovering trends, markets, technologies and customer insights. Create Business Model: Creating a viable business model. Select Technology: Identifying and selecting the right technology to deliver your new product, service, process or experience. Check Freedom to Operate: Checking if you do not infringe intellectual property rights of others. Experiment: Carrying out a systematic research or test which validates the adoption and attractiveness of your new product, service, process or experience. Create New Business Case: Creating a well-founded convincing business case for your new product, service, process or experience. In ‘The Innovation Maze’, you find both the 15 obstacles and the 10 activities essential for the start of innovation. The maze has four entry points. Each of the four innovation routes contains all ten activities. The great news is that whether you start with an idea, a technology, a customer issue or a business challenge you can use the same activities and the same tools. The order in which the ten activities are undertaken depends on how you start innovation. Be aware that doing things in the right order has a huge impact on the effectiveness. Steven Johnson, author of Where Good Ideas Come From, describes ideas as slow hunches. Some of them may take years to hatch. Others might hit you overnight. Now, how do you develop your idea or opportunity into a well-founded convincing new business case, as a startup or as a corporate innovator? Just follow the blue Idea Route through the innovation maze. In this case you have already ideated a rough business idea – or spotted a great opportunity for a new product, service, process or experience. So, ideate is your starting point at the bottom right of the maze. Your next step is Focus, where you will make your idea or opportunity concrete in an innovation assignment. You make all your expectations and boundary conditions explicit, like: why do you want to innovate? What is it? For whom? Where: regions and countries? When: year of introduction? And which criteria should your new idea or opportunity meet? As the third activity you check if your idea or opportunity fits your personal and corporate priorities. If not, here’s your first exit moment. Be realistic. If it fits, you create the right conditions for success; picking the right moment, getting the right team together, determining the right pace for your idea and raising the funds you need for the front end. As the next activity you go out to Discover. You and your team will orientate yourselves getting new insights by discovering relevant trends, visiting and analyzing relevant markets, investigating new technologies and discovering new insights from customers by observing, listening and talking to them. Obviously, your idea or opportunity will change along the way during your discovery process. Armed with what is happening out there you will be creating a viable business model around your pivoted idea as the next step. Now that you have defined your new offering, you can focus on the ‘how’ by identifying and selecting the right technology to deliver your new product, service, process or experience. Right after selecting your technology it’s wise to Check the Freedom to Operate (FTO) to research if you do not infringe intellectual property rights of others, to avoid problems later in your formal development process. Once you have defined the what, how and for whom, you’re ready to learn if you’re on the right track. You will start to Experiment, carrying out a systematic research or test which validates the adoption and attractiveness of your new product, service, process or experience. Once your experiments have been successful you have all the ingredients to create a New Business Case: a well-founded convincing business case for your new product, service, process or experience. You can download a free pdf of all the 4 four routes, and find more about the other 3 routes in this article. Simplifying the front end of innovation by giving you four structured routes to well-founded convincing business cases results, guiding you along 15 pitfalls and obstacles, and giving you better chances to create eventually a great new product, service, process or experience, that’s the purpose of the Innovation Maze book! Wishing you lots of success navigating the innovation maze.